As indigenous cultures and traditions across Papua New Guinea and the world are rapidly disappearing, the Enga Cultural Show has become a significant way to encourage Engan people, both young and old, to continue to value, practice, preserve and uphold their traditional culture. 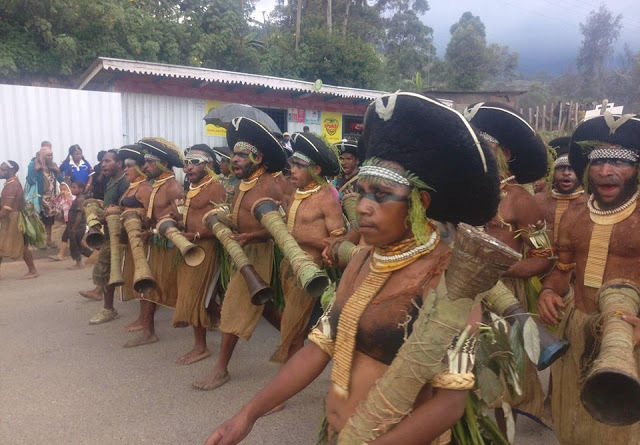 The Enga Cultural Show also aims to promote unity, understanding, mutual respect and peace between the different peoples, tribes, ethnicities, cultural groups, language groups and communities in the province and other parts of PNG through their participation in the show. The Enga Cultural Show features six sections in its annual program, presenting the many facets that make up the culture of the people of Enga. The first Enga Cultural Shows were organized on an ad-hoc basis beginning in 1982. Then, in 1994, the Enga Provincial Government recognized the importance of preserving the many unique and diverse traditions of the region and created the Enga Cultural Show Society to manage and develop the event to become a major national cultural institution.